Hester Thrale celebrated her eightieth birthday party in the finest of style at the Kingston Rooms - also called the Lower Assembly Rooms - in Bath on 27 January 1820. Seven to eight hundred invited guests helped her to celebrate her birthday at very great expense. There was a reception, then a concert, a supper and a ball. Good fortune ensured that the party was two days before the death of King George. It was estimated that between seven and eight hundred people attended. This may have been an overestimate. Those absent included 'the Misses' - her daughters. The concert began at 10 p.m. Mr. Leoni Lee sung with Miss Wood, Miss Camplin, Mrs Windsor, Miss Kitty Sharpe and Mr Rolle. The guests were delighted with the singing. At midnight the supper began. After two hours of banqueting, Admiral Sir James Saumarez proposed a toast to Hester to all round cheering. The dancing was started at 2 a.m. by Hester and her adopted son, Sir John Salusbury of Bachygraig, High Sheriff of the County of Flint, and continued until 5 a.m.
One of the most extraordinary and agreeable persons it was ever my good fortune to know. — Edward Mangin on Hester Lynch Thrale. Lord!, will this Mrs. Piozzi never have done singing and dancing? She dares to give a ball at eighty. Glittering in the gayest attire, and composed of all that Bath contained of exalted station, talent, genius, youth and beauty … a profusion of delicacies, lights and jewelry. Hester stepped out with astonishing elasticity, and with all the true air of dignity which might have been expected from one of the best bred females in society. It exhibited a scene, which, if not calculated to feast the reason, gave a promise of at least stimulating and heightening its enjoyments; in short, it was substantial as well as elegant, and displayed not only the liberality of the mistress of the feast, but the skill of the provider. 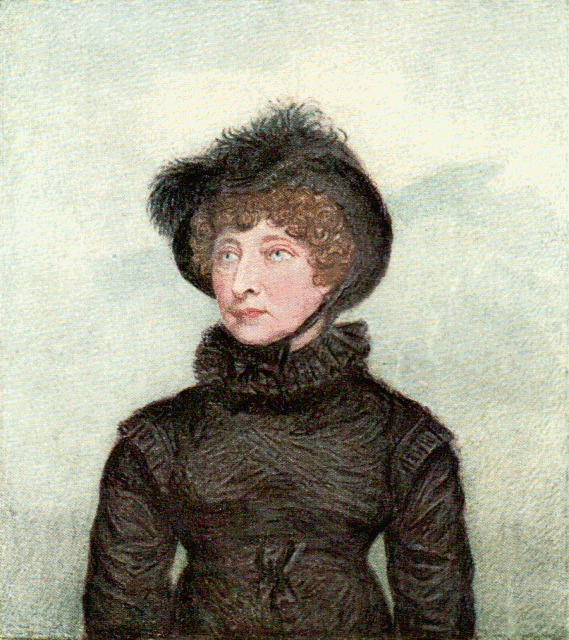 The ease and vivacity of manner which characterizes Mrs. Piozzi as an individual, pervaded every scene of her splendid entertainment, and as she had shown herself to be the living centre of good taste, as portrayed in social life, the present entertainment will undoubtedly form an epoch in the annals of fashionable amusement. Later in the same year the Kingston Rooms were destroyed by fire. Wonderful old lady, faces of other times seemed to crowd over her as she sat, — the Johnson's, Reynoldses, &c. &c: though turned eighty, she has all the quickness and intelligence of a gay young woman. 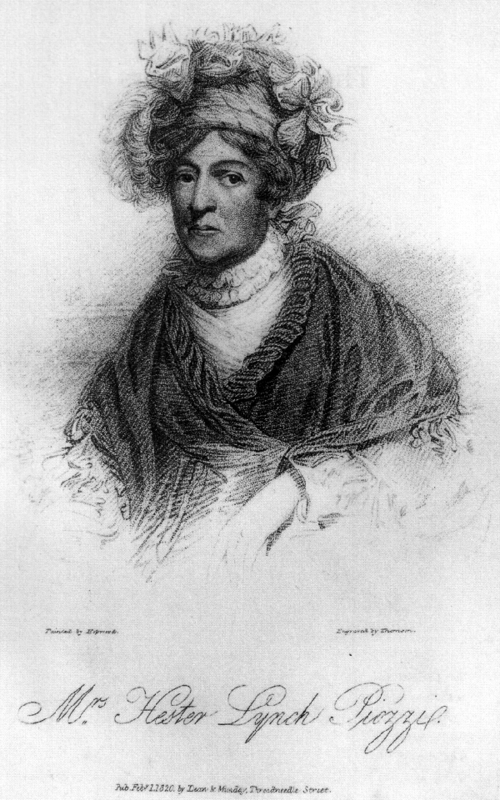 When nearly eighty Hester took a great fancy to a young actor William Augustus Conway and it is reported, but not confirmed, that she proposed to marry him.